About 15 miles south of Florence, AZ off Hwy. 79. Nikon D810, Tokina 16-28mm lens @ 16mm, ISO 100, f/16, .6, 2.5, and 10 second exposures. 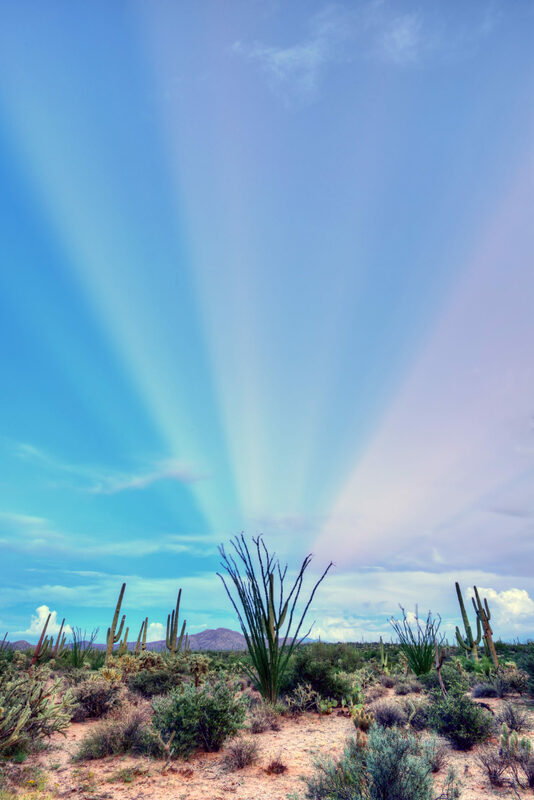 Anti-crepuscular rays appear to be emanating from an ocotillo cactus, in the Arizona desert.